I feel like I’m hideously late with this post but what else is new! This month has gotten away from me slightly but I really wanted to do this post as I have some great finds to share with you all. 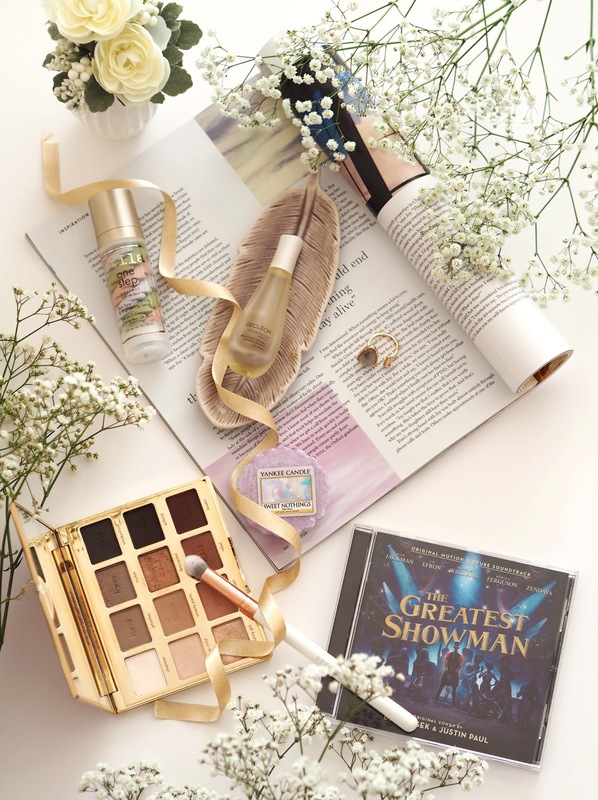 So let me tell you my list of items and products that I have been loving most over this last month! Stila Colour Correcting Serum | I’ve been really loving my Stila One Step Correct this month. Although I had this for a while I’ve been using it every day recently. This is a Skin Tone Correcting & Brightening Serum which has 3 colours swirls through it. Green for counteracting redness, Peach to improve dark circles and Lavender for sallowness. I wear it over the top of my moisturiser and it all blends really well into my skin so you can no longer see the colours. I find it just a nice subtle way of colour correcting my skin as I’m not a big fan of those palettes where you need foundation to go over the colours. It’s ideal to wear on no make up days, which I’ve been having a lot of lately, whilst add a bit of extra moisture. You can purchase it here. 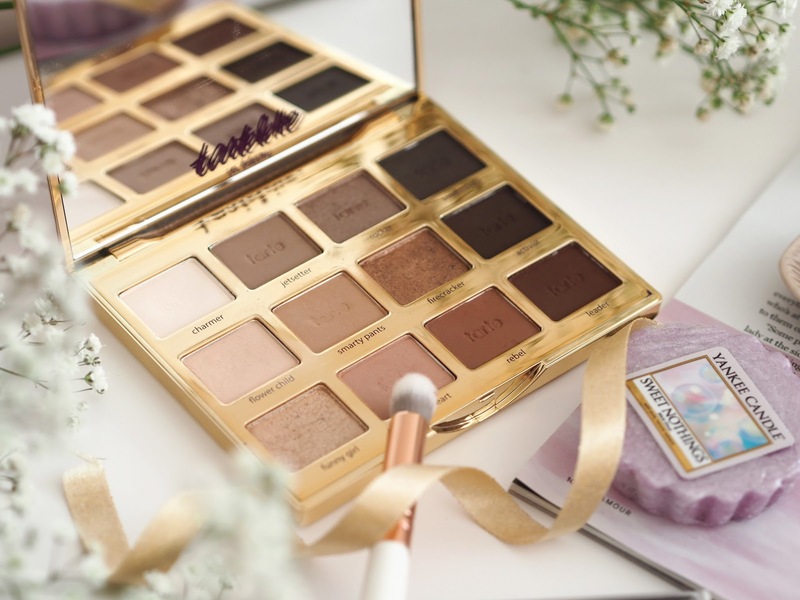 Tartelette In Bloom Eye Shadow Palette | I did a lot of photo shoots over January/February for the Moshulu campaign, see post here, and this was the shadow palette I used for almost every look. 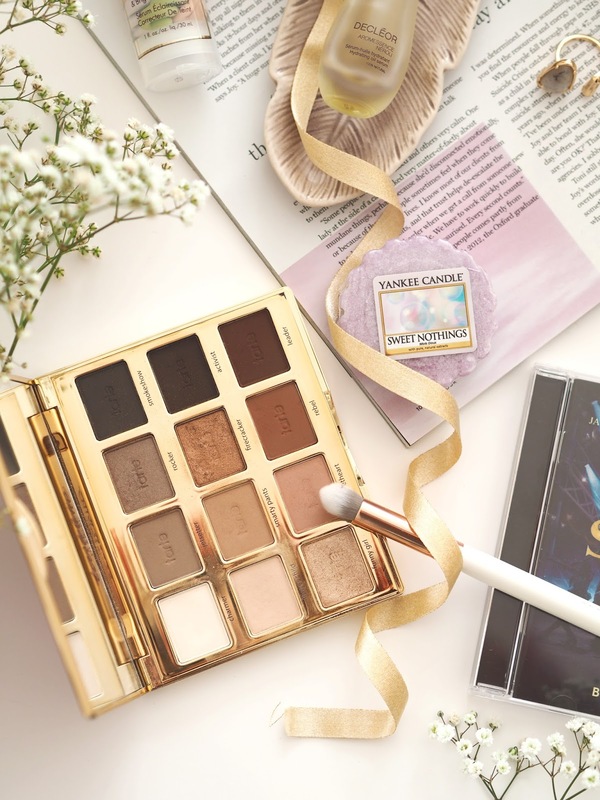 I just wanted to keep my eyes fairly neutral and I knew I could rely on this palette to be quick and easy plus the shades blend so beautifully together. Featuring 12 shades all designed to work in rows (although I still mix and match), 2 shimmers and 10 matte tones they are all made with Tarte’s signature Amazonian Clay. The ingredients are good for your eyes as well as looking good and feeling comfortable all day long! If you don’t already own it I definitely recommend picking one up ~ you can buy it here. 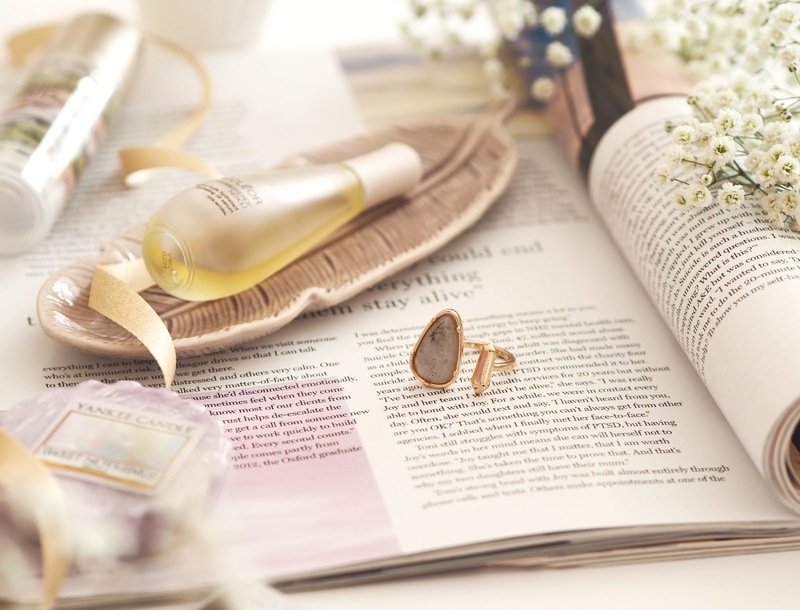 Accessorize Ring | I'm a self confessed ring addict and have amassed quite a collection now! I spied this one online and just couldn’t resist. This beauty is a statement ring with a really modern geometric design. A sleek gold-tone metal bar is contrasted with a clouded pale green gemstone for an organic feel. I’ve worn it so much already and have no doubt I’ll be wearing it on repeat for the foreseeable. It’s now on sale, half price down to a bargain £4! ~ purchase it here. 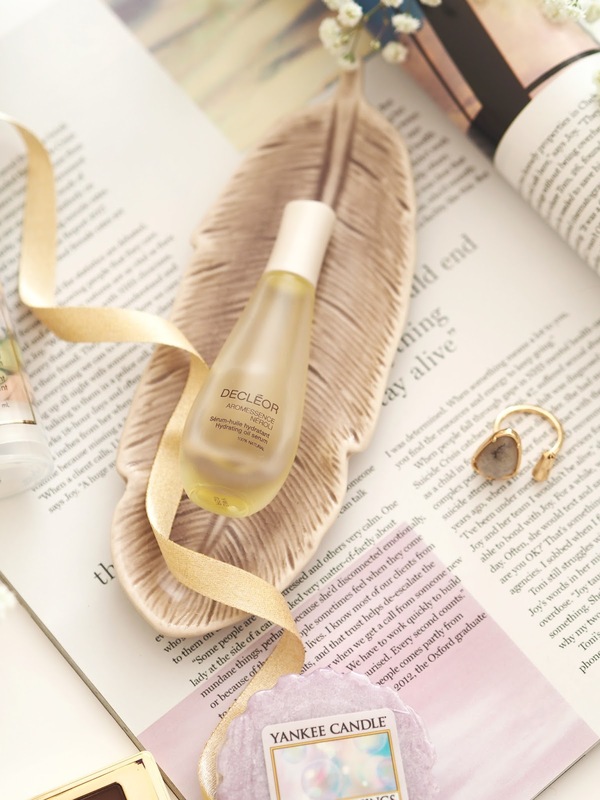 Decleor Aromessence Neroli Oil | My skin has been all over the place in these freezing temperatures lately! I’ve been getting all sorts of breakouts where I wouldn’t normally and dry tight patches on my cheeks, usually I have an oily complexion. So I’ve really needed some skincare products that give me a sustained boost of hydration. 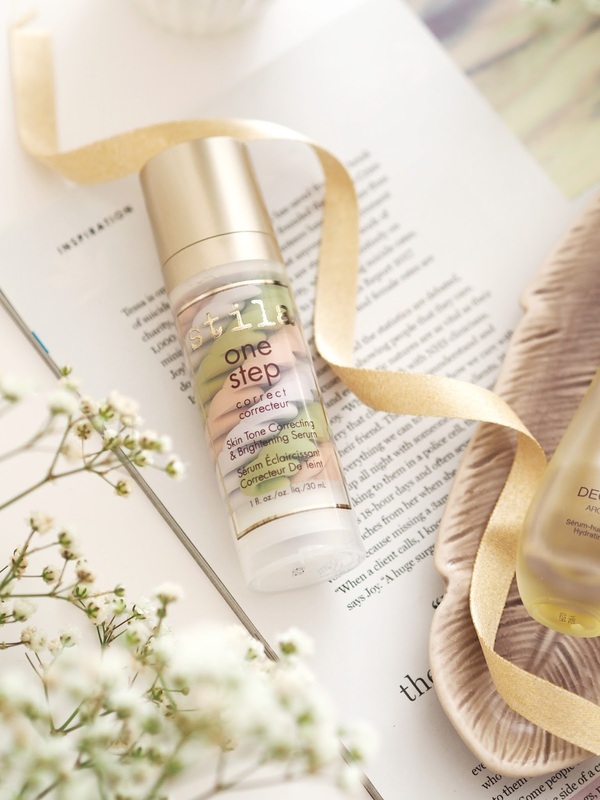 Enter Decleor’s gorgeous oils! Decleor have an amazing wardrobe of different oils depending on your skins needs and each one really packs a punch. I’ve been using oil from Decleor every night for the past few months, it’s 100% natural and includes Neroli & Sandalwood extracts. Just a few drops rubbed between my fingers and then I just gently pat it into my skin. ~ This particular oil has been designed to moisturise the skin, claiming 24 hour hydration and protect from pollution. Fine lines are smoothed and skin texture refined, leaving an illuminated more radiant complexion. ~ The main thing I notice is how my skin feels, it no longer feels tight or dry and in the morning it still feels soft and moisturised. I think I’m going to move to the Ylang Ylang Aromessence now as this one is purifying and more targeted to my normal skin type. You can buy the Decleor Oils here. Yankee Candle Sweet Nothing's Wax Melt | I always have to include the fragrance I’ve loved most and this month I’ve been burning Sweet Nothings, which is a new addition to Yankee Candles Spring range. Described as “Warm, soft, sweet ~ like a special whisper just for you.” I absolutely adore it, it’s definitely a new favourite that I need to stock up on. The scent has a light powdery sweetness, due to base notes of Vanilla, Powdery Musk and Amber, yet it’s still fresh with top notes of Cyclamen and mid notes of Lotus Blossom. It actually reminds me of Lush's Sleepy body lotion - which is comforting and so dreamy!! You can buy it here. 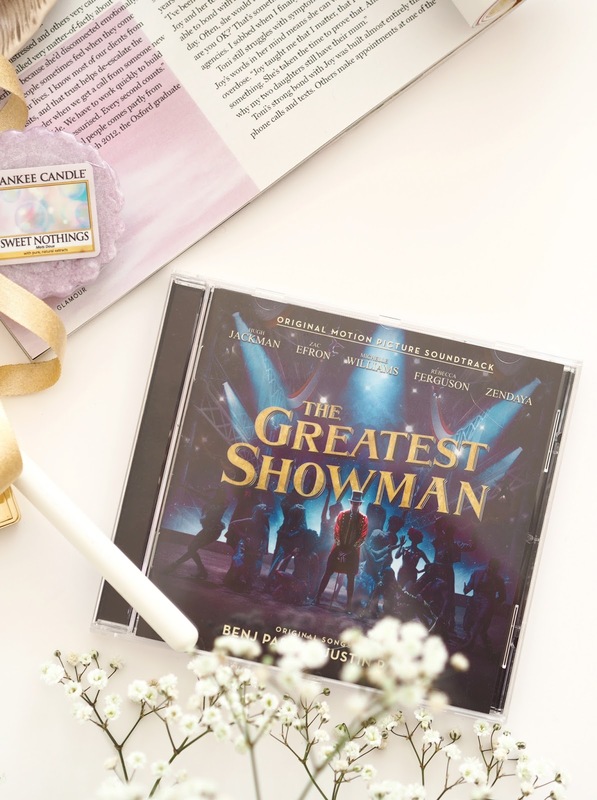 Greatest Showman Soundtrack | So if you follow me on my social channels you’ll know how obsessed I am with The Greatest Showman and how many times I’ve been to see he film, 5 so far! I even went to a sing along one which was such a fun and joyful experience. I could wax lyrical for days on the whole film but it’s the soundtrack I particularly wanted to include in my Loves List today. It’s been played on repeat both in the car and at home ever since we first saw the film early January. The soundtrack is just so happy and empowering I can’t help but sing out loud - seriously its a problem. The album has actually just bumped Adele’s record for longest reign at the Number 1 spot in the UK! All the songs were written by the same people who did the La La Land soundtrack and in my opinion the sounds on this are so much better! Now I love every single song so it’s hard to pick favourites but here are a few. The Other Side is a favourite as it has both Zac and Hugh harmonising which is a dreamy combination plus the whole bar scene is choreography genius! This Is Me is the anthem track of the whole album and feels really empowering. Rewrite The Stars is gorgeous and visually amazing when you watch it on screen - Zendaya is incredible on the trapeze! It also has slight High School Musical vibes I think, but that could be just me having that in my head every time Zac sings. From Now On is a really powerful one that is so fun to sing along too. We all creased watching Hugh charge like a maniac at the end of this number (it’s the best film running ever!) so we always pretend to run now when this part of song starts! A Million Dreams is beautiful and definitely up their as one of my favourites. The lyrics are lovely and it paints such a beautiful picture. I love that even though they only feature a little in this one song, the kids in this film all have stunning voices. 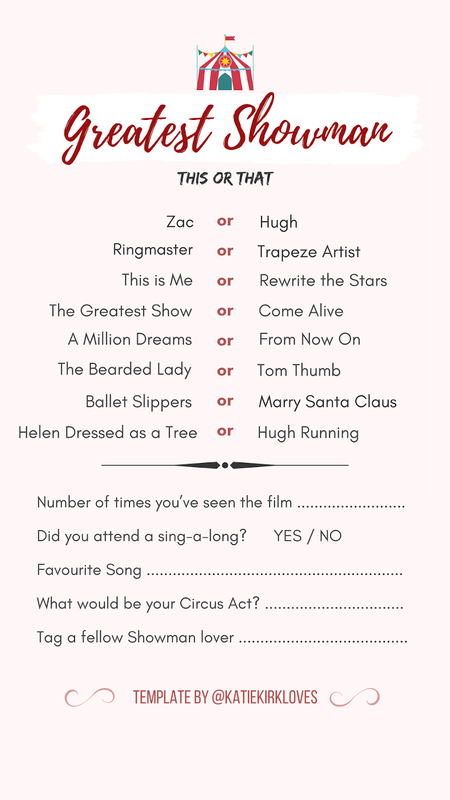 I’ve actually created a Template for people to fill in on Instagram Stories (below) - it's the current trend and I couldn’t find a Greatest Showman one! Simply save this > head over to your Instagram > swipe up/down in your stories & load this > then you can use the drawing & typing tools to enter your answers! Please tag me in your story so I can see your answers - I’m @katiekirkloves. 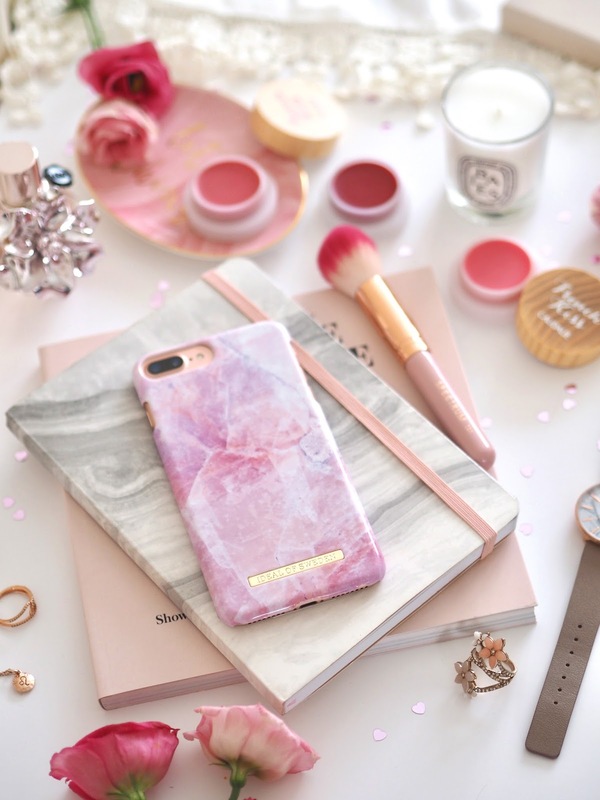 Ideal of Sweden Phone Case | How stunning is my new phone case from Ideal of Sweden?! 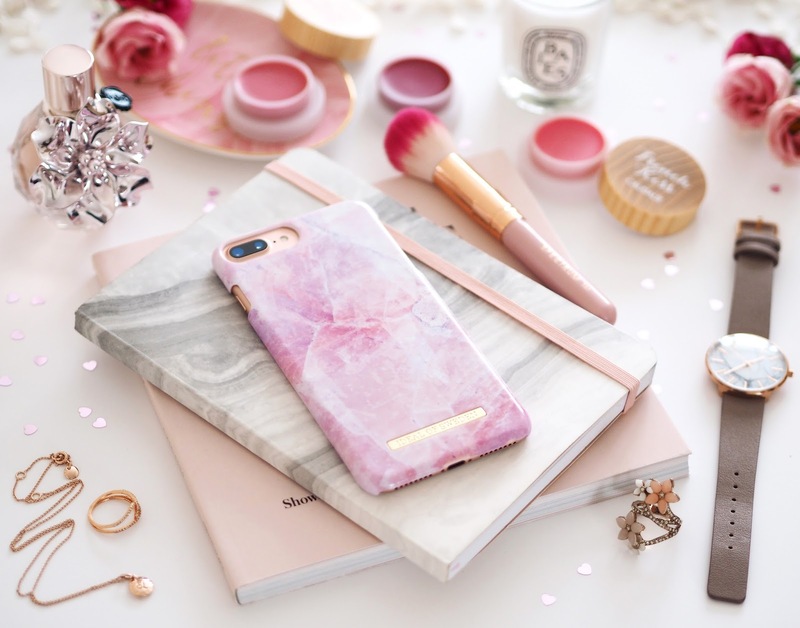 It combines two of my favourite things ~ Pink & Marble. I’m so happy to able to dress up my brand new iPhone 7 Plus in something so pretty and it’s perfect for Spring. Fancy getting one of your own or even as a gift for a loved one? Use my code KATIEK20 for 20% off at the checkout off all orders! This is my Pink Marble one and you should also check out their new SS18 Collection too. They have so many gorgeous designs you’re spoilt for choice really, purchase here. Ah that Tarte palette looks absolutely stunning!